July 16th in Wordpress Plugins by Wordpress Jedi . 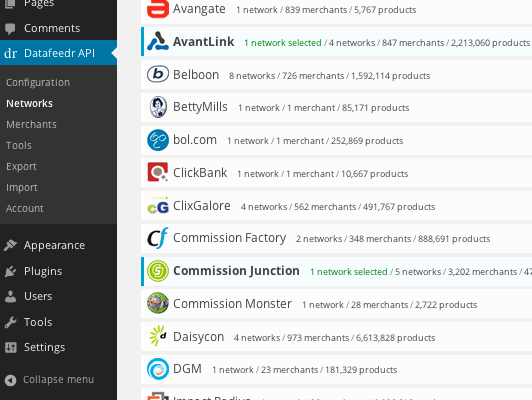 Datafeedr API: just bring your API keys, and you will be able to access Datafeedr’s database of affiliate products. This plugin essentially provides an interface to connect to the Datafeedr API. Datafeedr WooCommerce Importer: imports products from Datafeedr API into your WooCommerce shop. Just search for the product that you want to promote, and this plugin does the rest. Ads by Datafeedr: adds random products on your blog to give you yet another way to make money online. 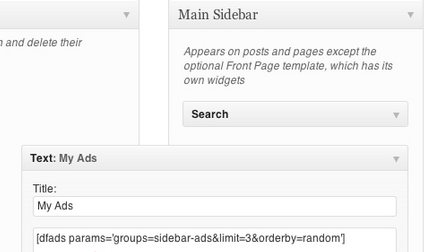 You can limit the number of ads that appear and display them in your posts or using widgets. As mentioned earlier, affiliate marketing should not be your only way of making money in your business. Offering your very own products could make your business more money in the long run.